(GAMEWEEK 3) at Anfield, Liverpool, Merseyside. LIVERPOOL - Liverpool FC defeated Champions Manchester United at Anfield to top the table with a 1 - 0 win from Daniel Sturridge's goal. Both teams were prompt into action after kick-off with Manchester United getting a miniscule opportunity in the box within 20 seconds. Relentless pace continued from both teams, when Liverpool found themselves taking the first corner kick of the game just before four minutes. Daniel Agger got a head on Steven Gerrard's cross, which went to Daniel Sturridge of who headed it from the back of his head into the goal, marking a dream start for the hosts and Daniel Sturridge is on cracking form - what a way to celebrate his birthday too. The Red Devils struggled to get the ball up the pitch for the majority of the opening 10 minutes, although as time progressed they began to get more involved. Liverpool however continued to enforce dominance with the momentum of the goal. As we reached the half-hour mark, Liverpool continued to have more control, although there were some very interesting tussles in the middle of the pitch. Pace slowed down a bit from earlier, but both teams were still very productive. In stoppage time of the first half, Robin van Persie was protesting a refereeing decision when things between him and Steven Gerrard got heated. (But if you want proper fights, you might want to read what happened at UFC 164 last night). The Reds went into the half-time break with the lead, Sturridge's goal was all the difference in the first fourty-five minutes that gave Liverpool an edge over the Champions. With a fast-paced start to the game, things went to a more neutral stand-point. Although more chances looked promising from Liverpool, Manchester United's share of chances could have had an opening in the Second Half. Manchester United made an obvious improvement at the start of the second half, with more chances being created and a lot more promising play. No chances came into fruition really, and chances were just sloppy. Liverpool got back to business and had Manchester United on the backfoot with a very positive spell. Liverpool really went for it towards the end, but continued to keep the ball while Manchester United were relentless in search for an equalizer. In the five minutes of stoppage time, Raheem Sterling came close with a cracking shot, but De Gea tipped it over the bar. Liverpool mark three consecutive 1 - 0 wins to begin the season. Daniel Sturridge's goal against the Champions is his 3rd in 3 Premier League games this season. Really making a mark for Liverpool. While the Manchester United vs. Liverpool derby is renowned for a few confrontations, the ones in this game were nothing too malicious. With the win over the Champions, Liverpool have won all their games this season. David Moyes came to Anfield numerous times in the past as part of the Merseyside Derby, but this time he returned as manager of Manchester United, and lost. Liverpool have been all business this season with their start to the Premier League. With speculation now abuzz about a possible top 4 finish, beating the Champions is indeed the way to go. Fantastic win for Liverpool. It's huge to beat the Champions at Anfield, this marks a great start for The Reds. But credit where credit is due, Manchester United held their own, the set piece may have got them beaten, but they held up well defending for the rest despite lack of effectiveness in front of goal. 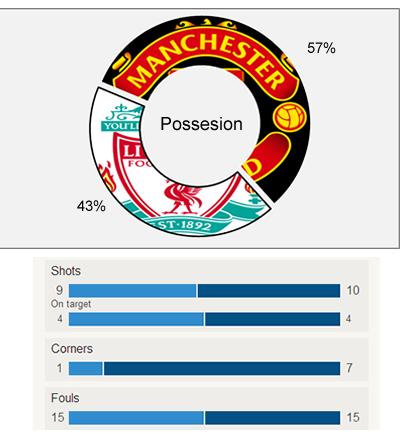 Liverpool and Manchester United had defense on locks from around the half-hour mark. Cracking game with a tense finish, the derby delivers again. 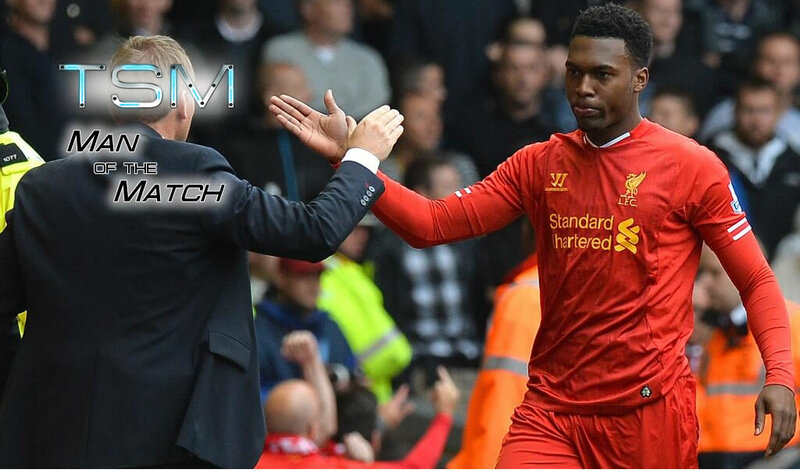 Liverpool overcome the Champions with yet another goal by key marksman, Daniel Sturridge. Liverpool make it 100% wins in the Premier League season - with prospects higher than ever with this huge win. 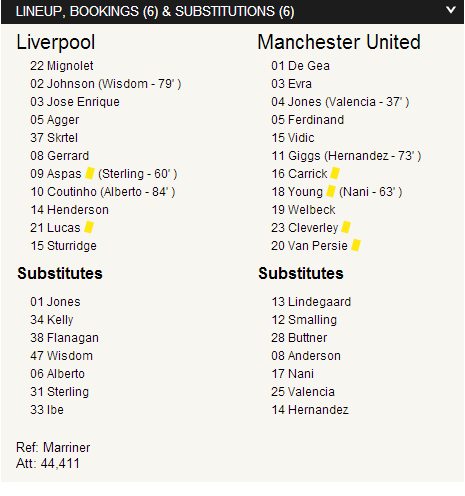 MATCH COVERAGE, RESULTS, FROM LIVERPOOL FC VS. MANCHESTER UNITED IN GAMEWEEK 3 OF THE 2013-14 PREMIER LEAGUE SEASON.